Polythene films; safer batteries; bespoke nanocrystals. Professor Ton Peijs of WMG at the University of Warwick and Professor Cees Bastiaansen at Queen Mary University of London came up with a new processing technique that produces a transparent polythene film said to be stronger than aluminum. The film could be used in displays, glazing, visors, and windshields, without adding significant weight. 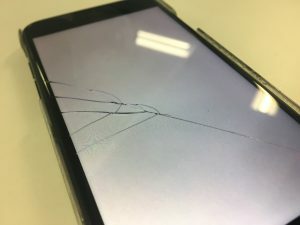 The displays on mobile phones and other devices are easily broken, because people can be clumsy. Previously, the protection offered to mobile displays often would come from conventional transparent plastics like polycarbonate (PC) and poly(methylmethacrylate) (PMMA), both of which possess relatively unsatisfactory mechanical performance compared with an engineering material like aluminum. Current methods of creating high-strength plastic films such as hot-drawing of high-density polyethylene (HDPE) can lead to materials that can compete or even out-perform traditional engineering materials like metals. “The microstructure of polymers before drawing very much resembles that of a bowl of cooked spaghetti or noodles, while after stretching or drawing the molecules become aligned in a way similar to that of uncooked spaghetti, meaning that they can carry more load,” says Yunyin Lin, a PhD student on Professors Peijs and Bastiaansen’s team. Lithium-ion batteries are ubiquitous, useful, and sometimes dangerous. They contain flammable liquid electrolytes that can cause fires. To address this issue, Cornell University researchers are working on solid-state batteries, a technology inherently safer and more energy-dense than today’s lithium-ion batteries, since there aren’t any liquid electrolytes involved. By transforming the liquid electrolytes into solid polymers inside the electrochemical cell, the research team had the best of both worlds with the liquid and solid properties. “Imagine a glass full of ice cubes: Some of the ice will contact the glass, but there are gaps,” said Qing Zhao, a postdoctoral researcher and lead author on the study, Solid-State Polymer Electrolytes With In-Built Fast Interfacial Transport for Secondary Lithium Batteries, published March 11 in the Nature Energy journal. Industry attempts at developing solid-state batteries have failed to scale in volume production. “Our findings open an entirely new pathway to create practical solid-state batteries that can be used in a range of applications,” said senior author Lynden Archer, the James A. Friend Family Distinguished Professor of Engineering in the Smith School of Chemical and Biomolecular Engineering. Quantum dots, currently used in television sets, have the potential to replace single-crystal semiconductors used in advanced electronics, such as camera sensors, solar panels, and medical imaging tools, according to Stanford University researchers. The researchers focused on how efficiently quantum dots re-emit the light they absorb, one telltale measure of semiconductor quality. While previous attempts to figure out quantum dot efficiency hinted at high performance, this is the first measurement method to confidently show they could compete with single crystals. This work is the result of a collaboration between the labs of Alberto Salleo, professor of materials science and engineering at Stanford, and Paul Alivisatos, the Samsung Distinguished Professor of Nanoscience and Nanotechnology at the University of California, Berkeley, who is a pioneer in quantum dot research and co-senior author of the paper. Alivisatos emphasized how the measurement technique could lead to the development of new technologies and materials that require knowing the efficiency of our semiconductors to a painstaking degree.